Daily interface between all the project’s actors : Client / Architect / Suppliers / Yard. 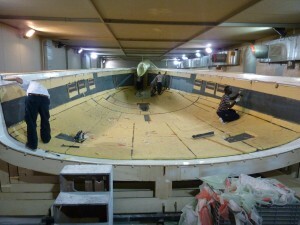 The project manager of your yacht follows and controls daily the yard and suppliers’ work done. He also organizes expert intervention to validate steps and systems. We must set up a second assessment before final delivery. We must check and test the whole yacht. We ask experts to come and test the yacht during all this phase. Organization of the maintenance (current and yearly).